«This age» illustrated quotation. Wise and fool, free quote pictures for Facebook, Twitter, LinkedIn, Reddit, Pinterest and other social networks. 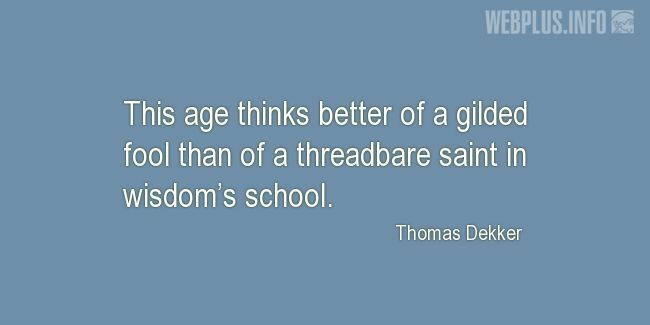 This age thinks better of a gilded fool than of a threadbare saint in wisdom’s school.